Aisha Maghdid Mahmoud was 12 and alone at home with her baby brother when planes flew overhead, just before evening prayers. Her father was guarding the sheep in the mountains and her mother was at the local spring washing meat for the evening meal. 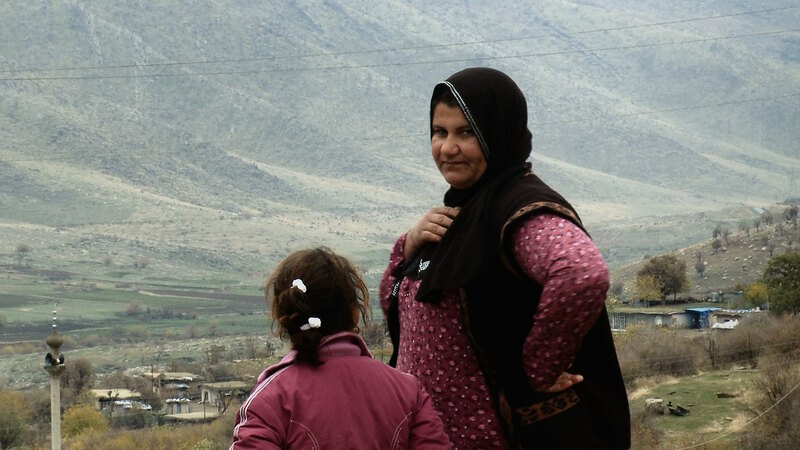 Her home village of Ware, near the Balisan Valley in north-eastern Iraq, was close to areas controlled by the Iraqi army and so was considered safe from poison gas attack. But all that changed on 15 May 1988, the last day of Ramadan, when Iraqi planes appeared in the sky. The Iraqi military was beginning its Fifth Anfal operation against rural Kurdistan. The aircraft overflew Ware six or seven times before dropping bombs. Panic broke out when white smoke spread across the village and people began to drop dead. Aisha’s mother returned with her shawl soaked in water which she wrapped around her brother before they all fled to the spring. There, Aisha saw her neighbours throwing themselves into the water hoping that it would provide some protection. 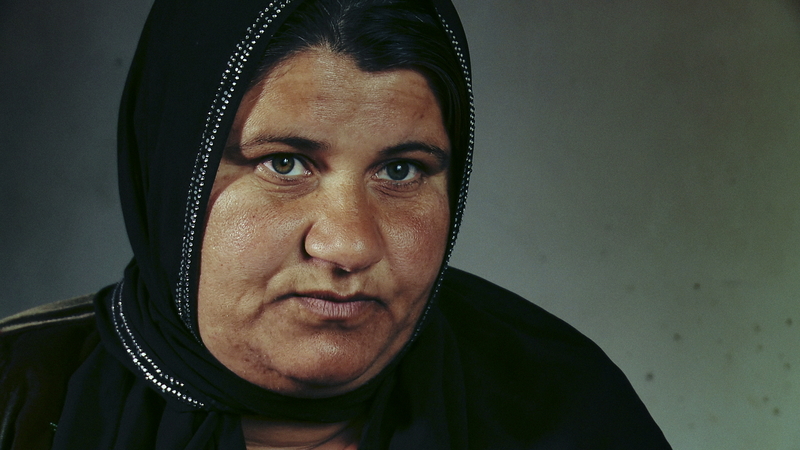 AISHA MAGHDID MAHMOUD witnessed the chemical bombing of Ware village in 1988. Panic-stricken villagers ran to the local spring to wash themselves and their children. However, the water was poisoned and 20 lost their lives. Unaware that Aisha, her brother and her mother had escaped, her father searched desperately for them in the village and never returned. 1/1. Aisha, her mother and her baby brother were rescued by relatives from a neighbouring village who brought mules to carry them to safety. When her father returned to Ware, he searched desperately through his house and the village for his missing family. After trying to find them amidst the corpses littering the village, he collapsed in shock. Aisha was treated at a nearby peshmerga field clinic before it was bombed by Iraqi jets. She survived and was moved to a safe village where she found her father. She and her surviving family were eventually given permission to live in Shkarta, a government collective town near Ware. Her father died there a year later. In 1990, she married in Shkarta and returned to Ware in 2002. She has six children. During the 1980s, Ware village was situated in an area controlled by the Iraqi government. In spite of this, the village was attacked with chemical weapons in May 1988.